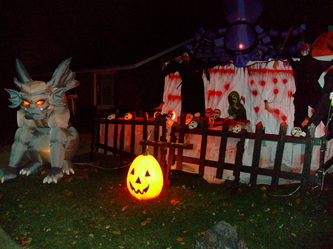 2012 proved to be a year where the Tourers hit more haunts than ever before, including this one. This haunt was located in Romeoville, and the Tourers hit it as part of a tour that took in Tinley Park, Orland Park, Oak Forest, Romeoville and Mokena. 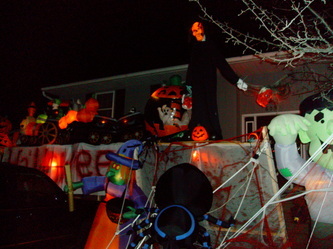 It is located on a main street and is very visible to passing cars. 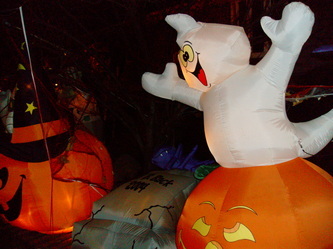 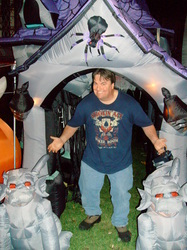 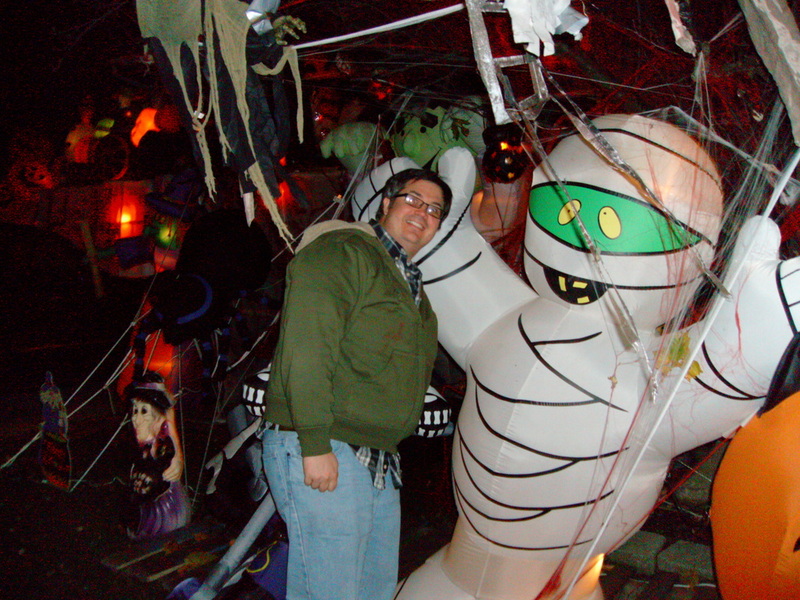 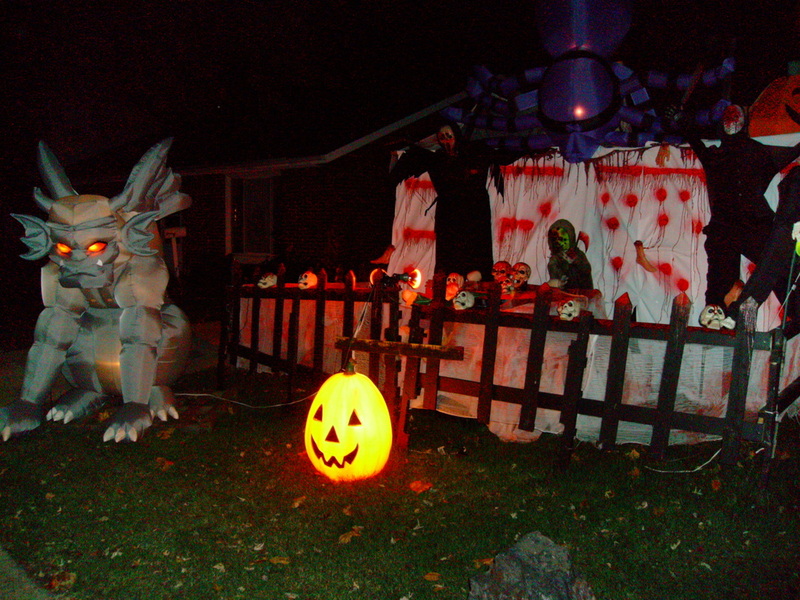 Although the haunt featured a number of different displays, it also featured one of the Tourers least favorite Halloween things: blow up decorations. 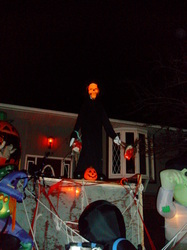 However, we did try to put aside our bias to evaluate the display as a whole. The blow-ups included a large Halloween train, Frankenstein, ghosts, pumpkins, witches, spiders, and even a full size inflatable castle that one could walk through. Points have to be given for the variety of the inflatables, but they simply seem a bit "cuddly" for our tastes. 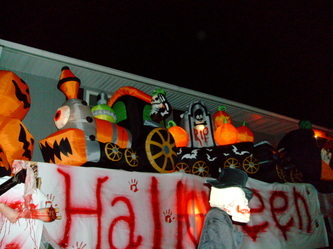 The good point was that not all of the displays were of the inflatable kind. 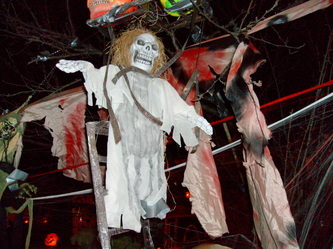 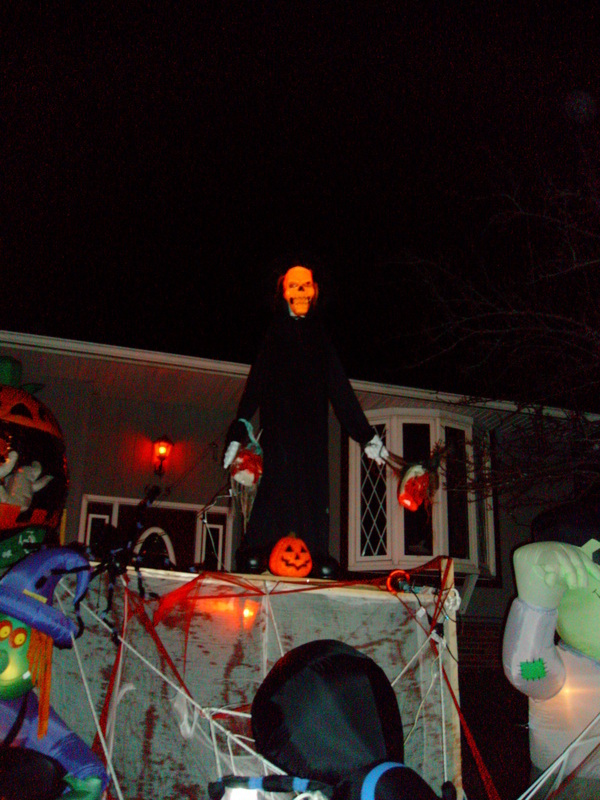 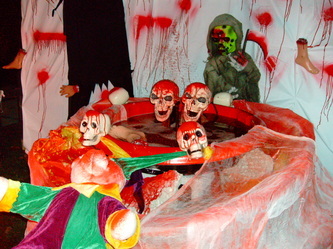 The center of the display featured a large glowing skull0headed figure on top of a "Happy Halloween" banner, figures of Ghostface and Jason standing over a working bloody skull fountain, and some ghoulish figures hanging from the trees. Overall a decent effort, but one that sadly failed to overcome the inflatable issue, at least for Paul. It's worth a quick look if you're in the area (or have smaller kids), but we wouldn't recommend a long journey or making it the only thing you see in Romeoville, which has a number of good displays to combine it with.